Sparkling sequins and stones cover the sweetheart bustline of this empire waisted short dress. The lace-up corset back has pleated tulle on either side, which matches the layered tulle and chiffon skirt. This adorable style would be perfect for a Bat Mitzvah, Homecoming, or Quinceanera court! 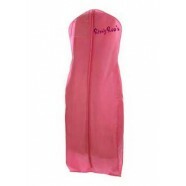 RissyRoos.com is an established retailer that only sells authentic Damas products.